If you supply us with your mailing address on-line, you may receive periodic mailings from us with information about programs and services, if you give permission to be contacted. If you do not wish to receive such mailings, please let us know by sending e-mail to info@poppyfund.ca, by calling us at the telephone numbers below or by writing to us at the address below. Please provide us with your exact name and address. We will then remove your name from our confidential list. The Greater Edmonton Poppy Fund uses Secure Socket Layer (SSL) encryption technology to ensure the integrity and privacy of the personal and credit card information you provide when you make an online donation. 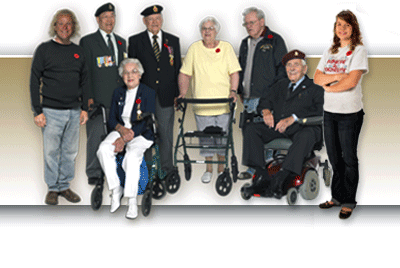 We maintain records of all contributions to The Greater Edmonton Poppy Fund. All information is kept private and confidential, stored in a secure location and accessible only by authorised staff. Thanks to Arrai Innovations for Building and Hosting the PoppyFund.ca donation system.